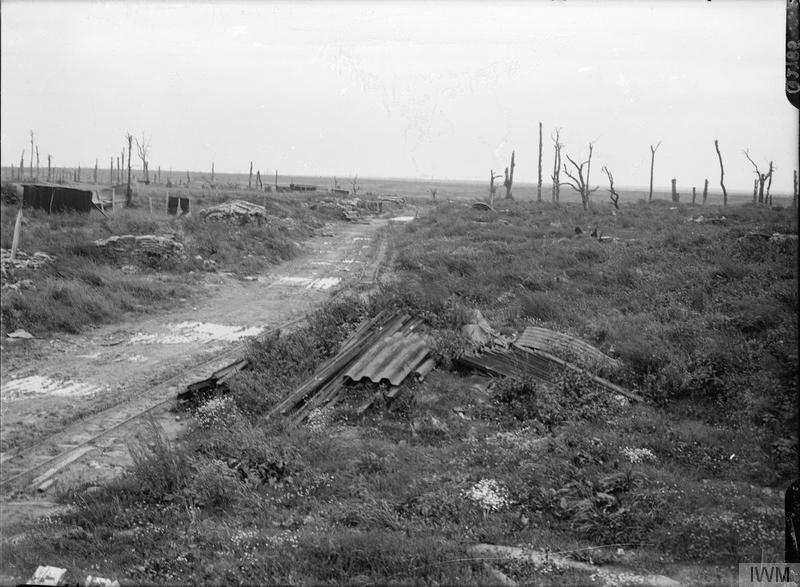 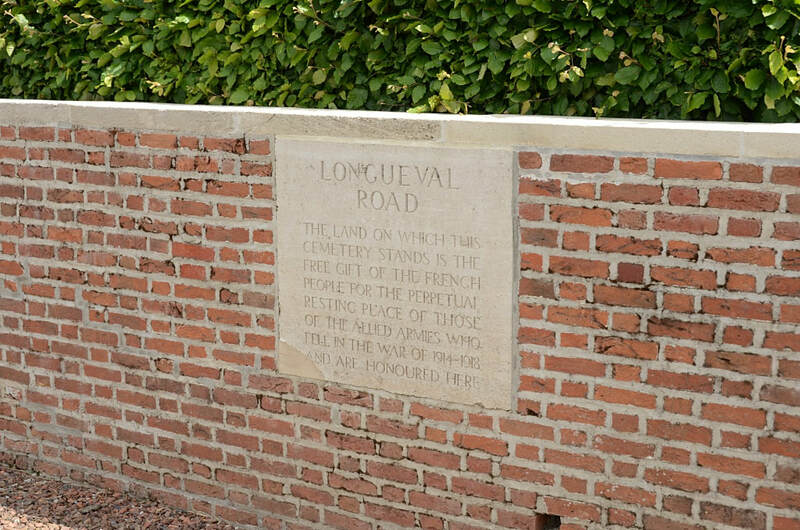 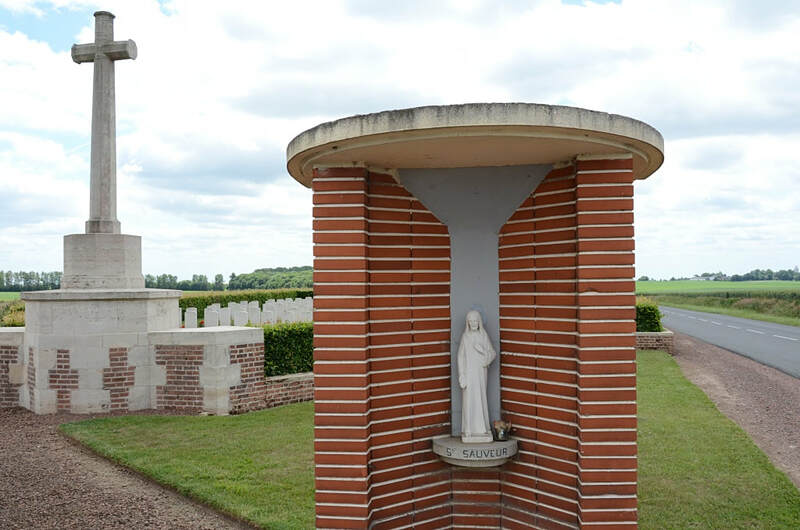 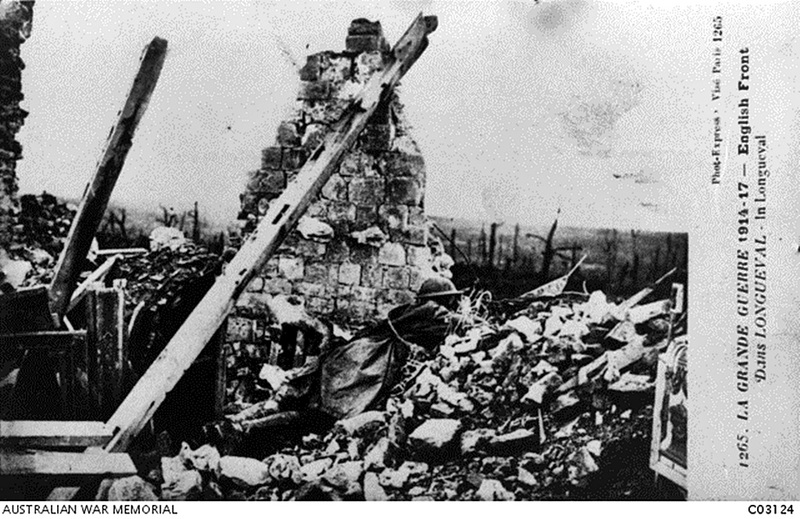 Longueval Road Cemetery was begun in September 1915, near a dressing station known as "Longueval Alley", or "Longueval Water Point". 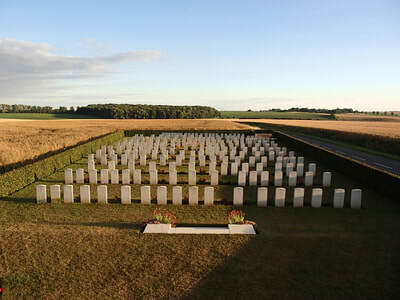 It was used until January 1917, but further burials were made in August and September 1918. At the Armistice, the cemetery contained 171 graves and others were brought in from a wide area round Longueval in 1923-24. 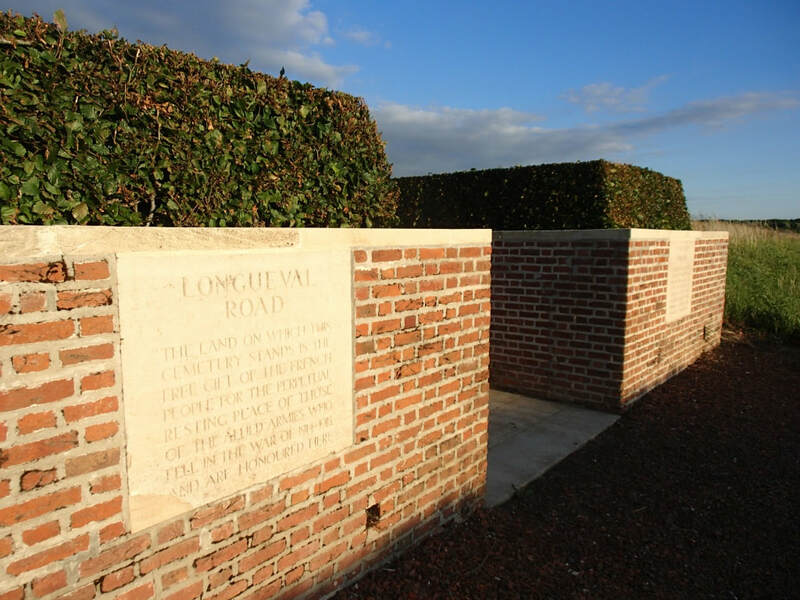 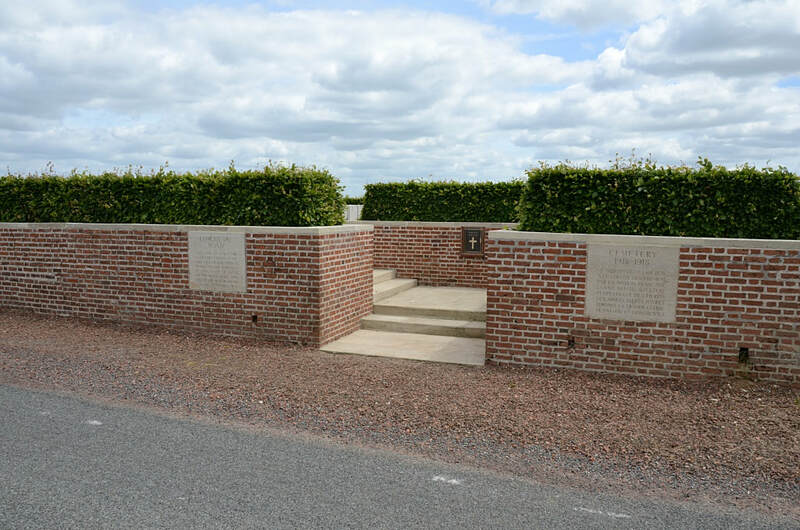 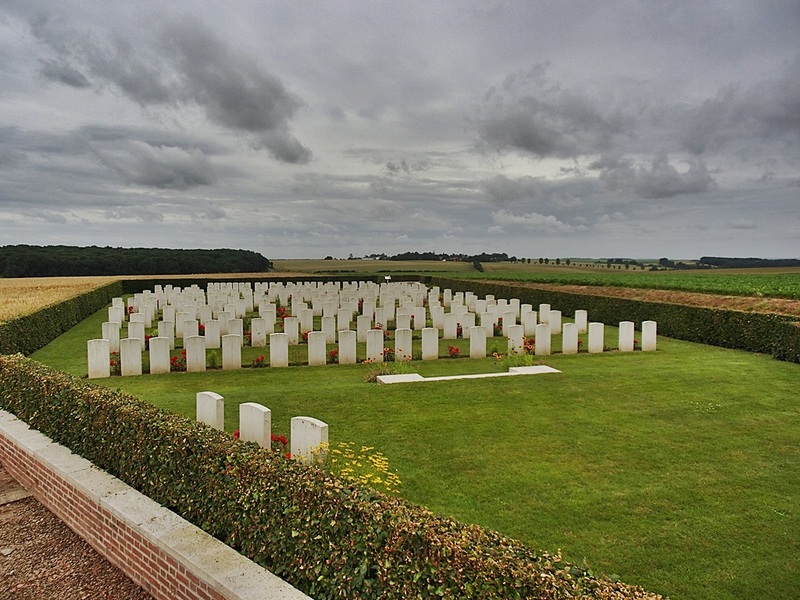 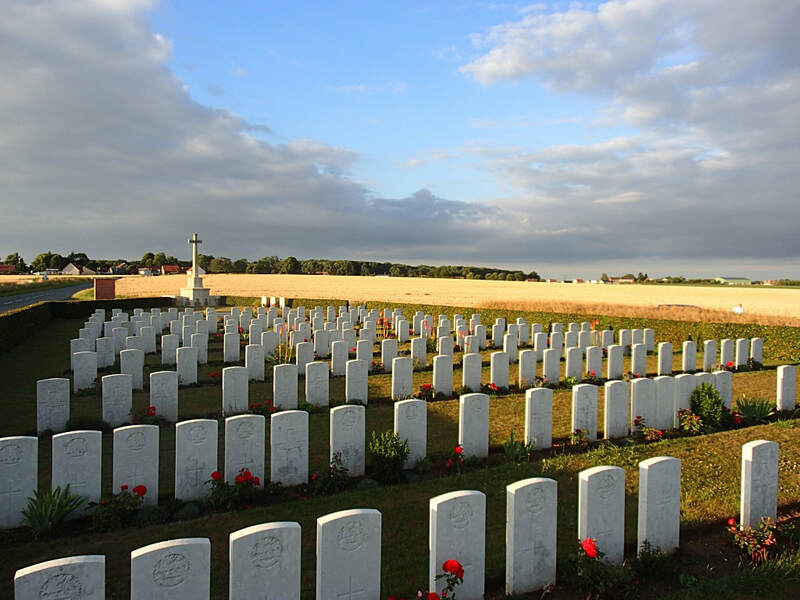 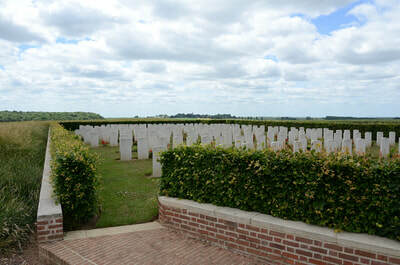 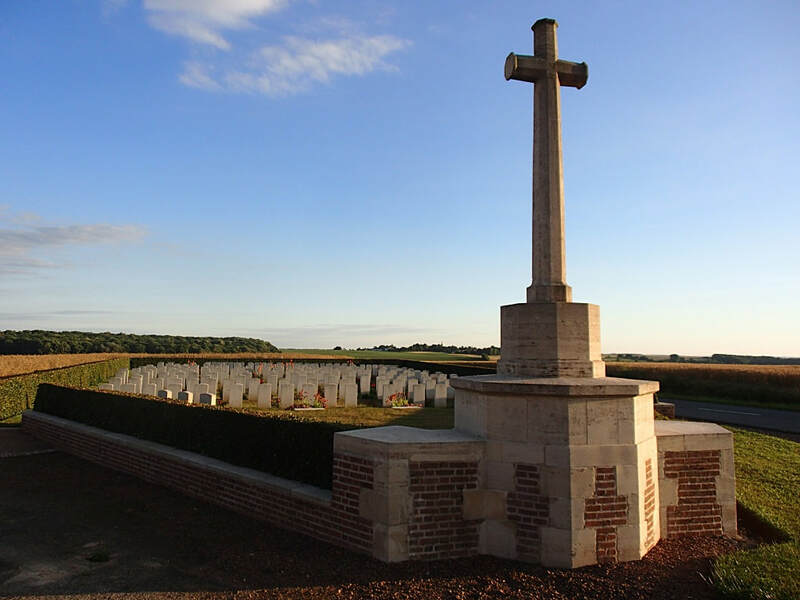 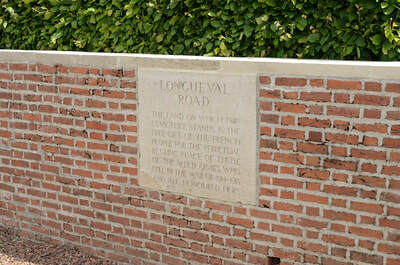 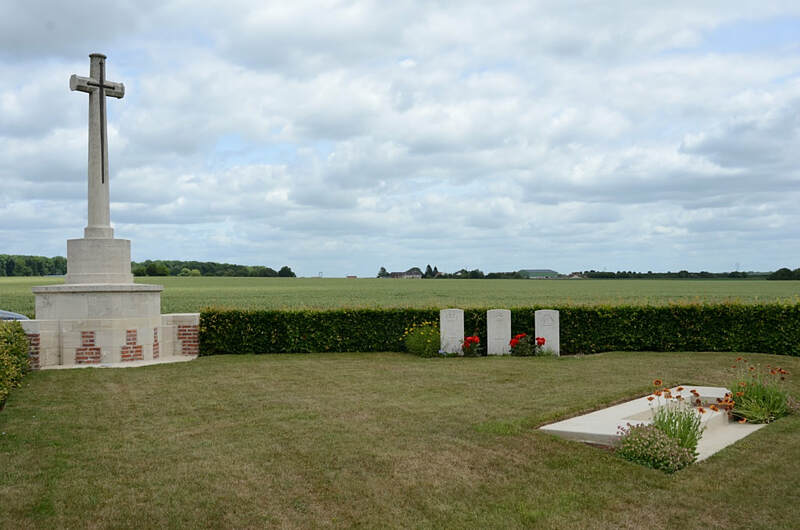 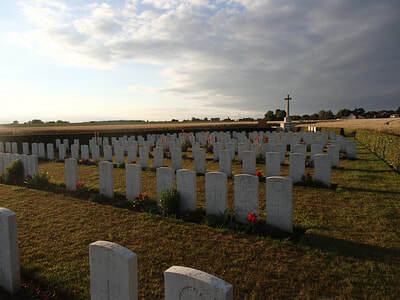 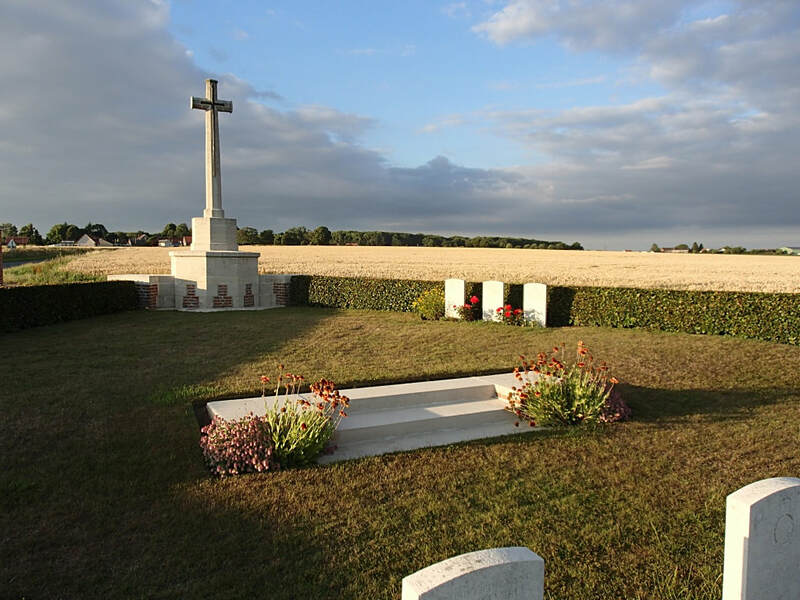 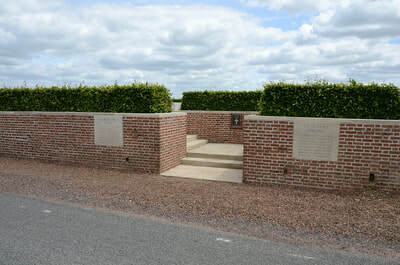 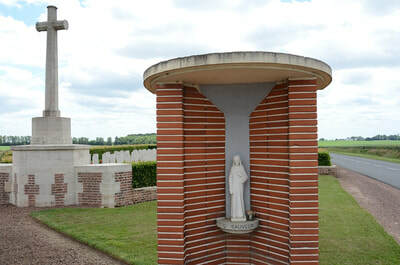 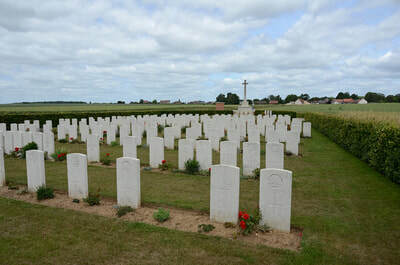 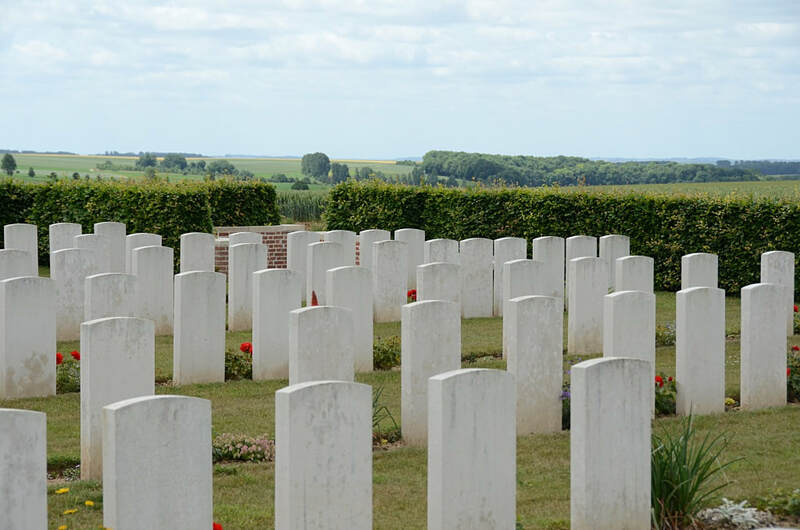 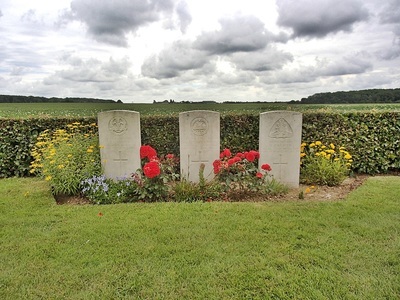 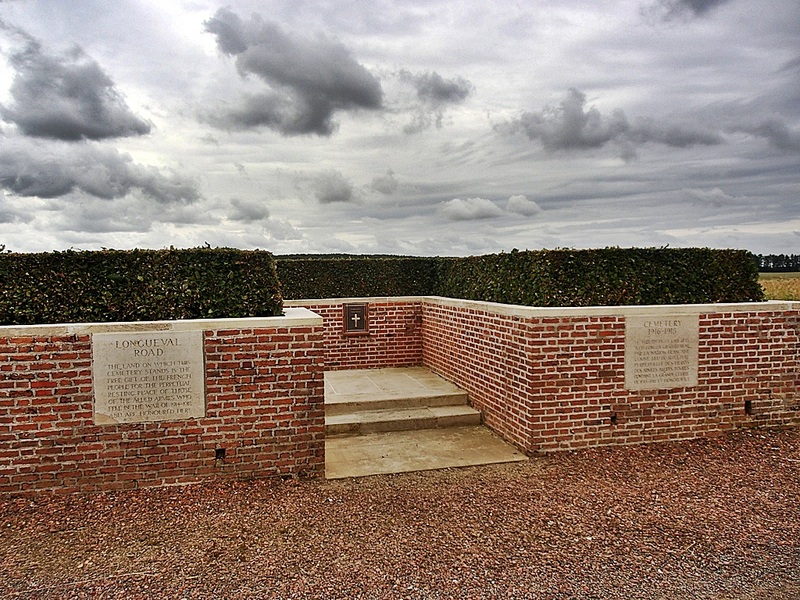 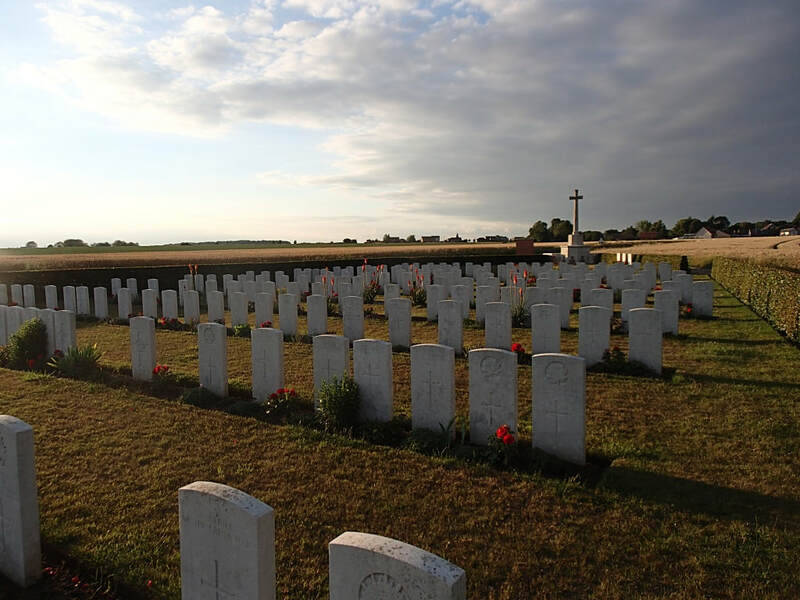 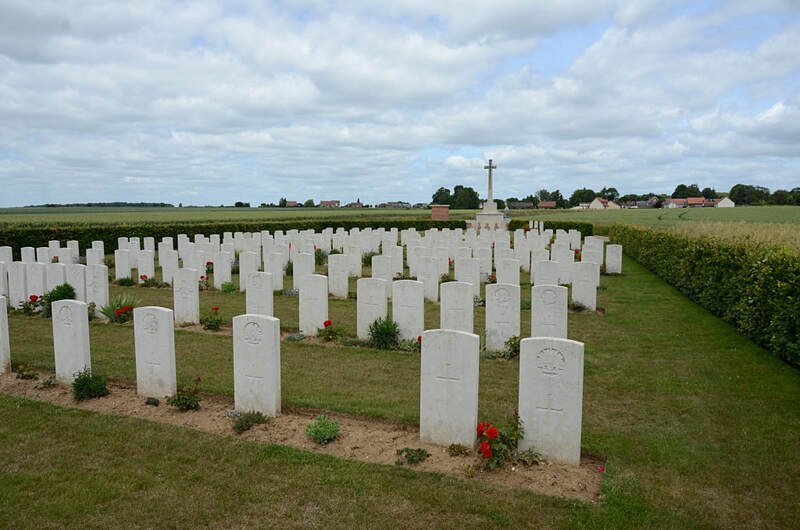 Longueval Road Cemetery now contains 222 burials and commemorations of the First World War. 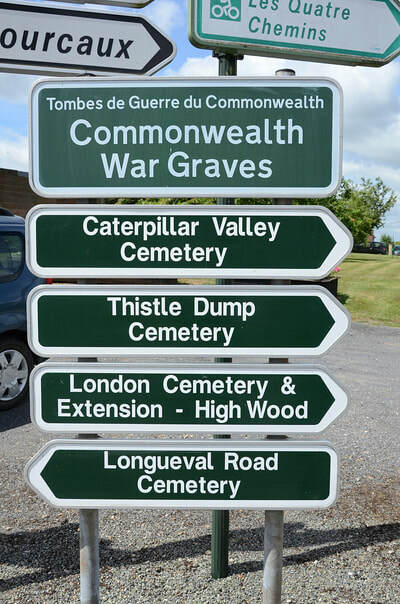 48 of the burials are unidentified but there are special memorials to three soldiers known or believed to be buried among them. 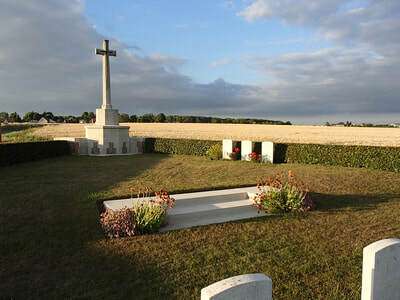 There is also one German burial in the cemetery. 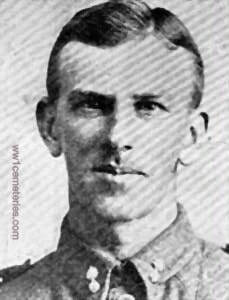 22nd September 1916, aged 25. 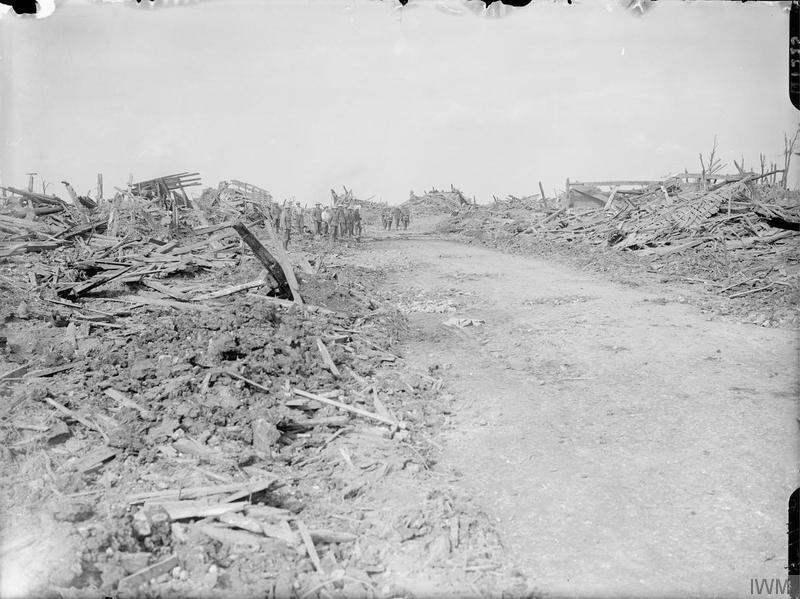 Son of William and Ada Beaumont, of 73, Keith St., Wanganui, Wellington. 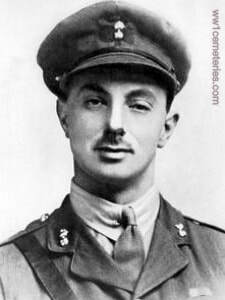 15th November 1916, aged 34. 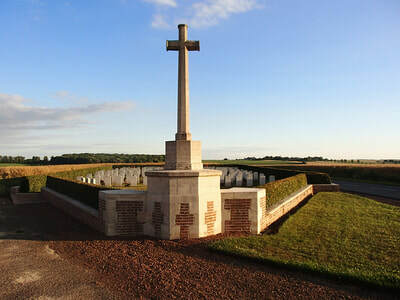 Son of James and Mary Bruce, of Scone, Perthshire, Scotland. 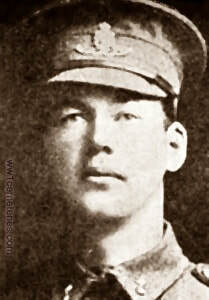 15th November 1916, aged 22. 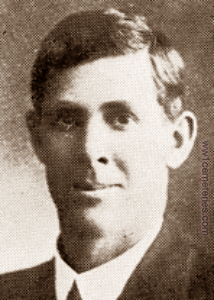 Son of James and Mary Callaghan, of Read Avenue, Lithgow, New South Wales. 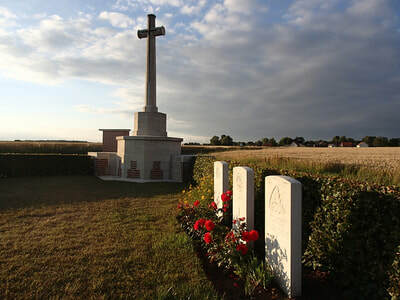 His brothers Horace William James Callaghan and Walter Leslie James Callaghan also fell. They are commemorated at Villers-Bretonneux Memorial and St. 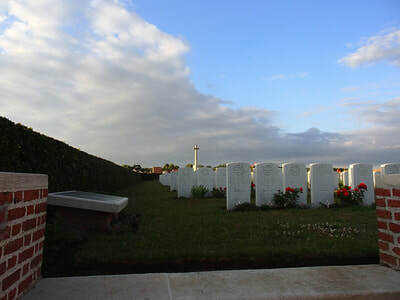 Sever Cemetery Extension respectively. His headstone bears the inscription; ​"Reader Give Thought To What Great Sacrifice Your Freedom Bought." 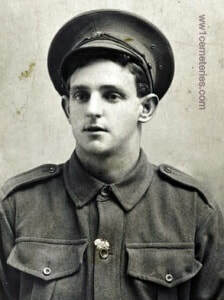 23rd September 1916, aged 23. 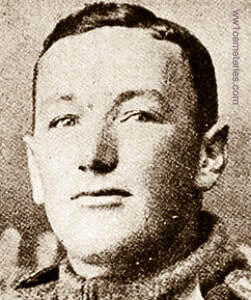 Son of Arthur H. and Charlotte P. Chalmers, of 1, South Hill Grove, Oxton, Cheshire. His headstone bears the inscription; ​"He Saved Others, Himself He Could Not Save." 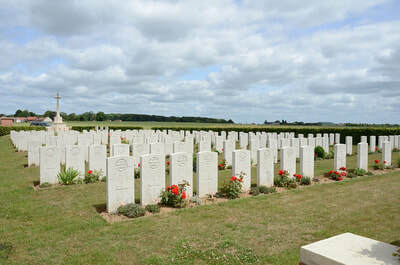 ​Cecil William Chandler, M. C.
Son of William Alfred and Martha Chandler, of "Stonecroft," Elmsleigh Rd., Weston-super-Mare; husband of Bridget Josephine Chandler. 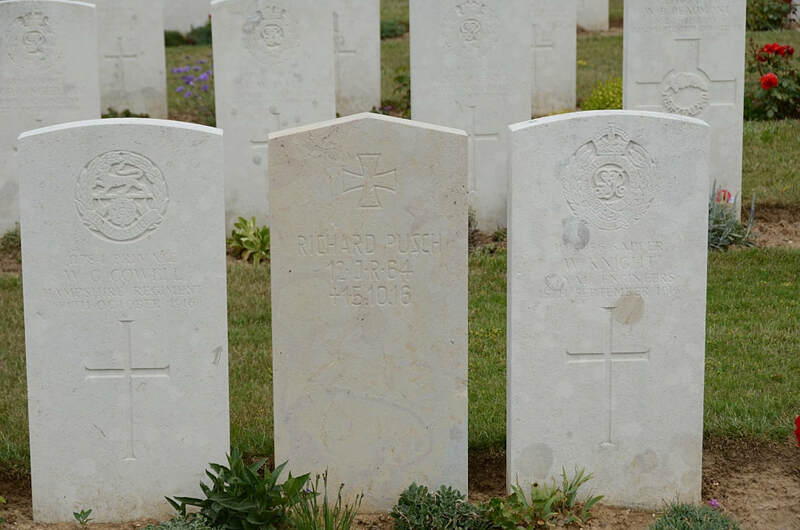 ​His headstone bears the inscription; "Faithful Unto Death." 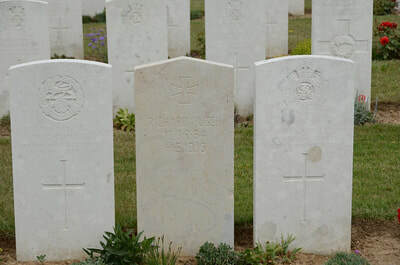 Son of William and Sarah Dickens. 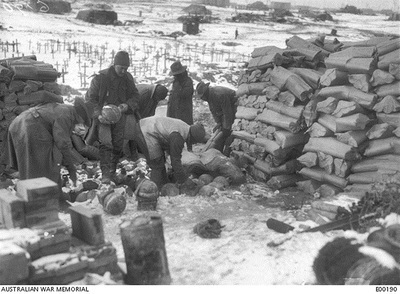 Born Wallaroo, South Australia. 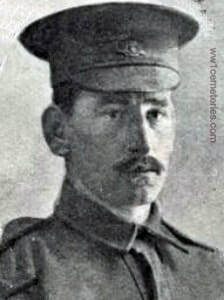 26th September 1916, aged 38. 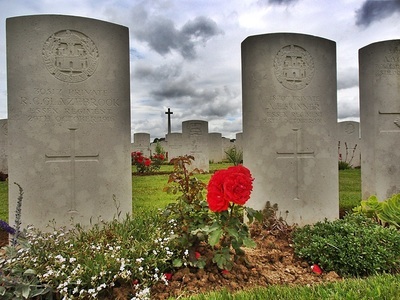 ​His headstone bears the inscription; "Gone From My Sight But Memory Lives My Darling My Beloved Husband." 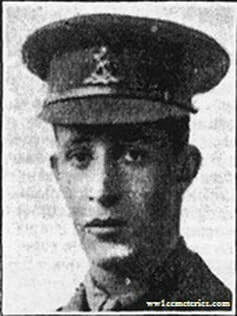 7th October 1916, aged 22. 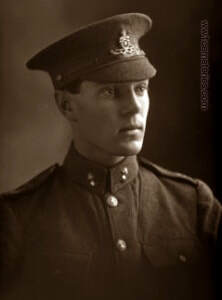 Son of Victor John and Margaret Larner. 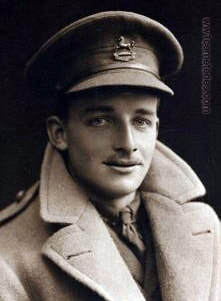 15th November 1916, aged 29. 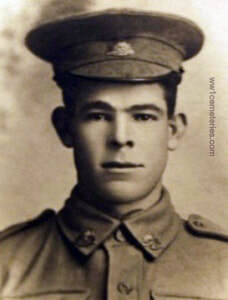 Son of L. and Betsy Levy, of 83, Halifax St., Adelaide, South Australia. 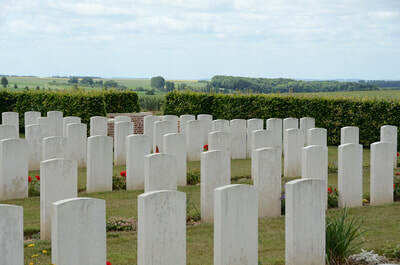 Born England. 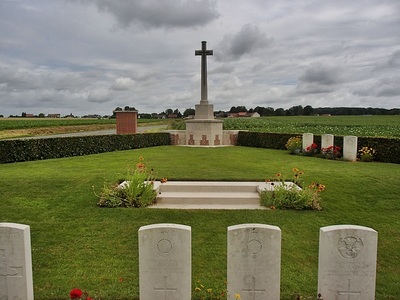 ​His headstone bears the inscription; "God Rest His Soul." 25th November 1916, aged 18. 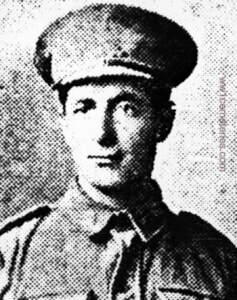 Son of Thomas George, and Lena Rowley, of 99, Galvin St., Launceston, Tasmania. ​His headstone bears the inscription; "A Loving Son, A Faithful Soldier, Sadly Missed." 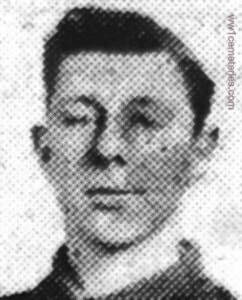 Son of Herbert H. and A. F. M. Stones, of 40, Victoria St., Paignton, Devon. Born Gillingham, Kent. 5th October 1916, aged 24. 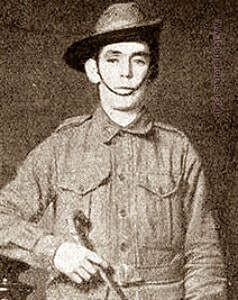 Son of R. Watson, of Nelson. 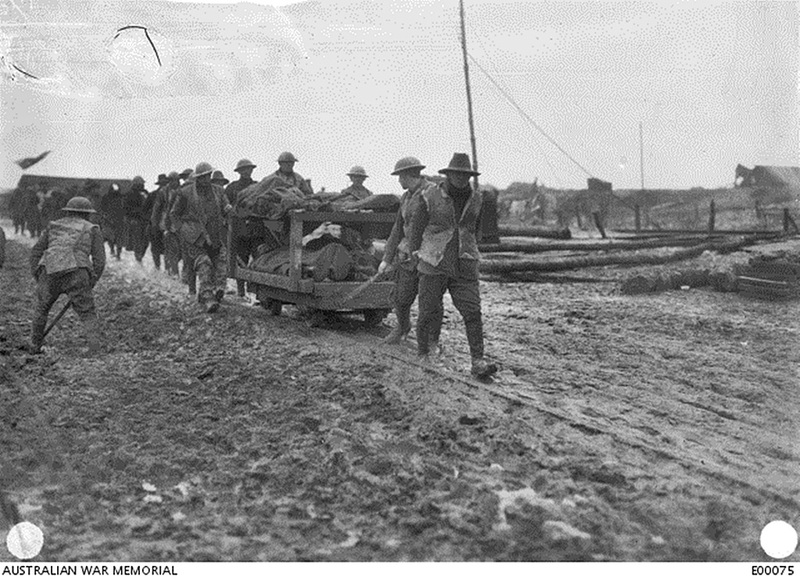 February 1917; A large group of unidentified Australian soldiers marching along the road towards Longeuval. 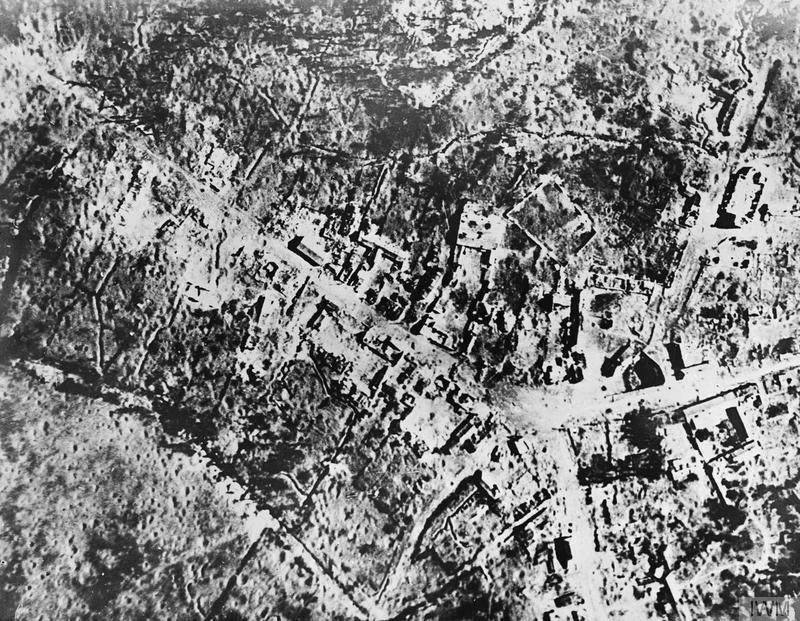 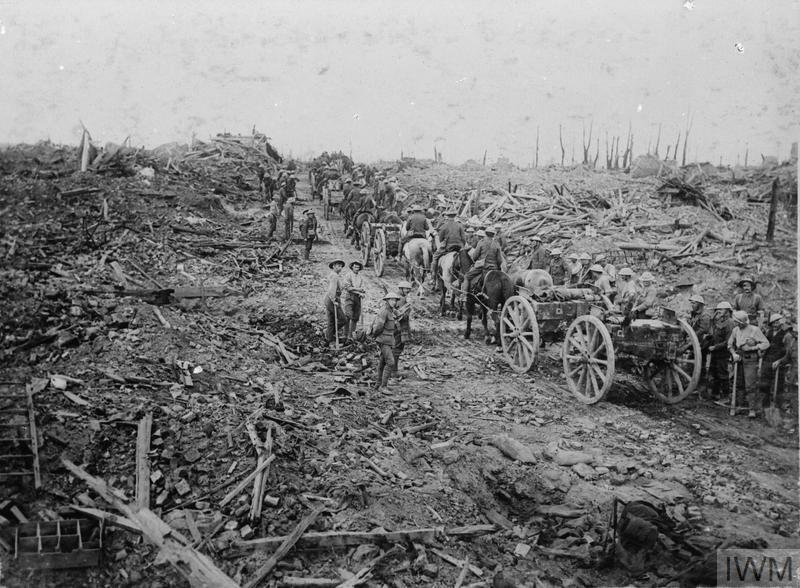 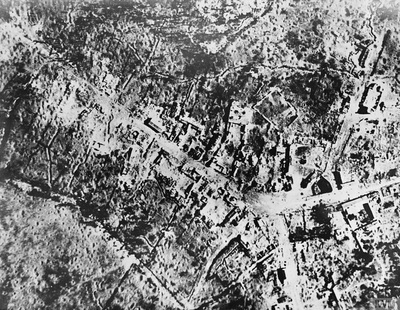 The men in the foreground appear to be standing a trench.